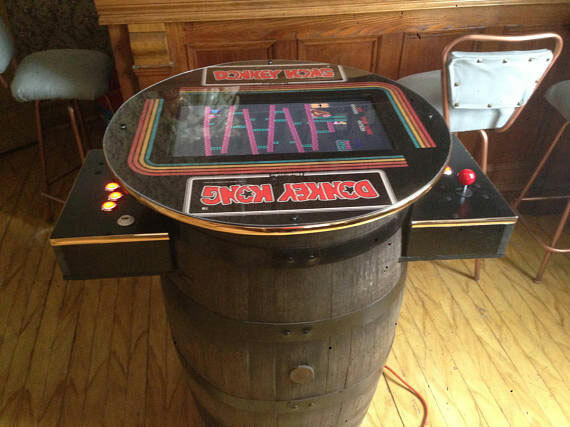 Whiskey Barrel Arcade Machine: this whiskey barrel turned into an arcade machine has 60 games for you to play. 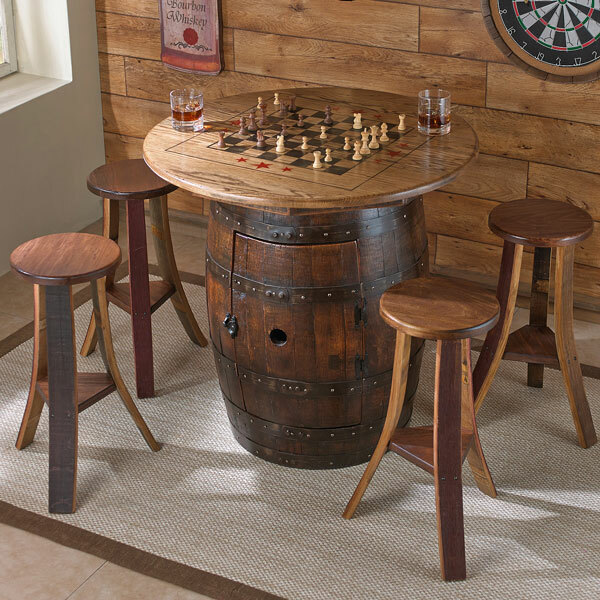 Whiskey Barrel Game Table: ready for chess, checkers, and card games. 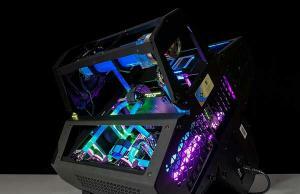 Its latching door opens to reveal a cabinet for your games and drinks. Bourbon Barrel Chess Set: makes a great gift for chess lovers. It is made of 100% reclaimed barrels. The playing board is a full size barrel head. 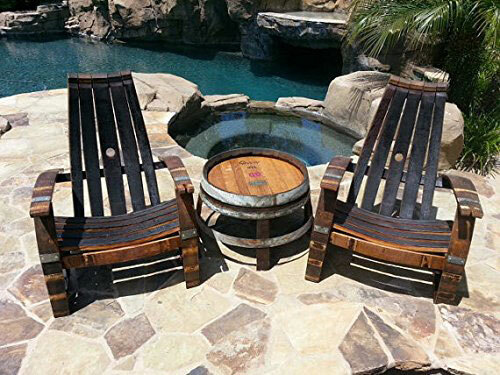 Wine Barrel Adirondack Chairs & Side Table: comes with everything you need to relax outside. These are finished with marine grade oil with 99% UV protection. 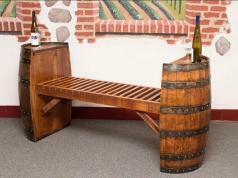 Wine Barrel Bench: great for indoor or outdoor use. 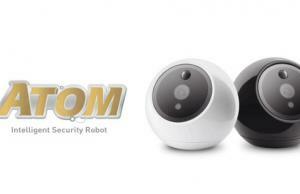 They are available in 4 to 8′. 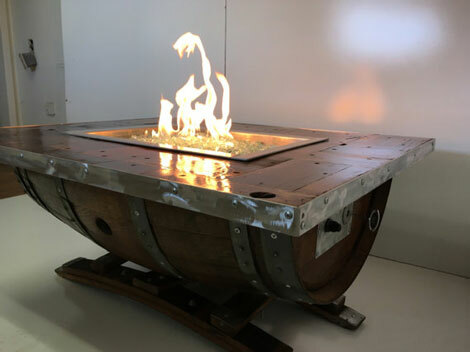 Fire Pit Coffee Table: this is a barrel converted into a smokeless fire pit. You can use natural gas and propane to get started. Flame height is adjustable. 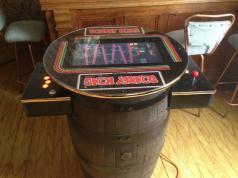 Cocktail Arcade Machine: brings 60 classic games to your place. 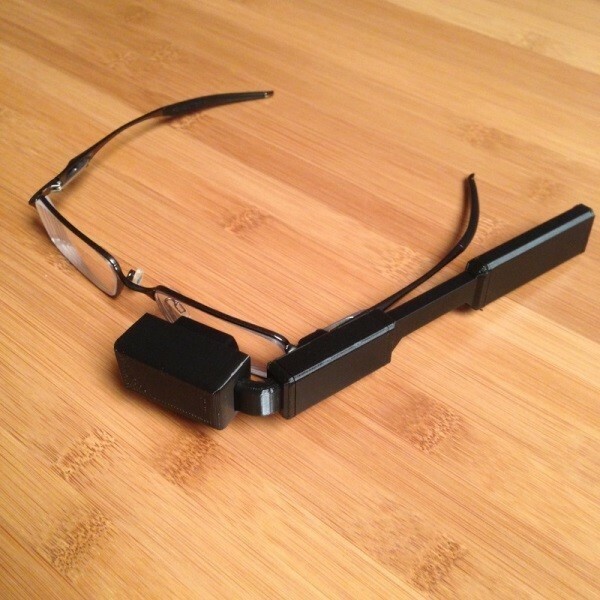 It has a 20″ screen and integrated speakers. 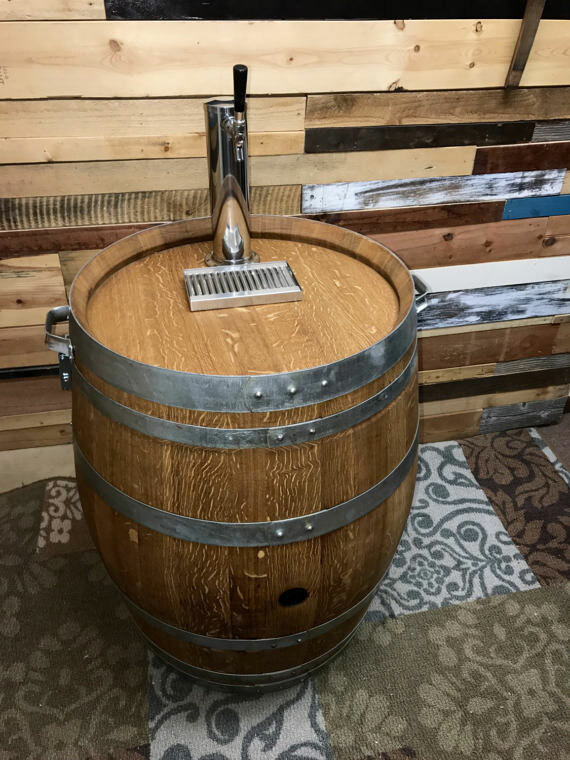 Wine Barrel Keg: great for serving people at restaurants, weddings, and anywhere else. It has a plastic liner with drain, CO2 tank, regular, keg tap, and everything you need to start serving people fast. 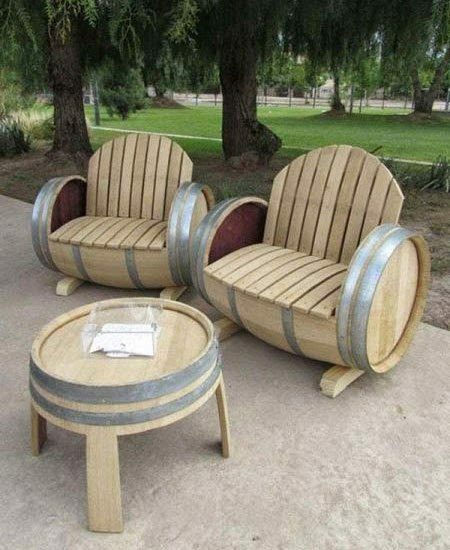 Barrel Chairs: these are made with unused wine barrels. Great for relaxing outside. 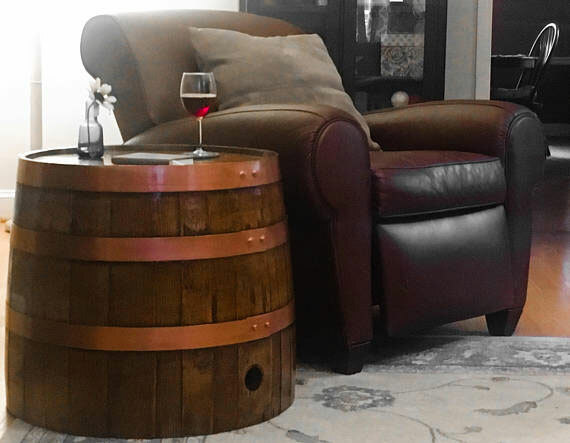 Whiskey Barrel Coffee Table: these are handcrafted from recycled French oak wine barrels and American Oak whiskey barrels. 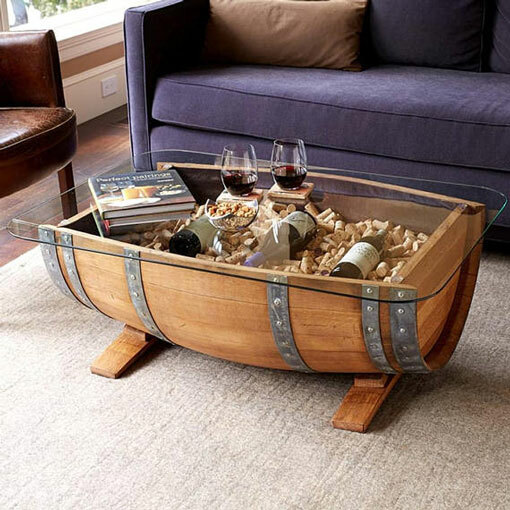 You can fill them with corks and display your favorite bottles under the glass. 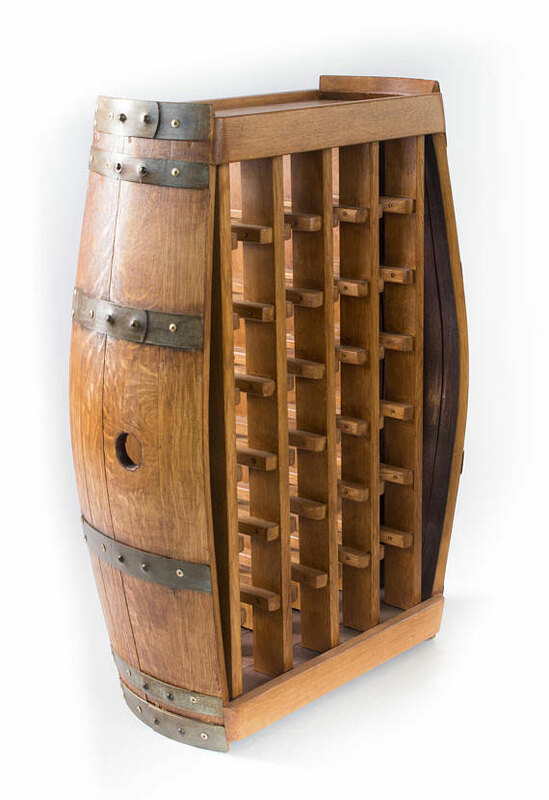 Barrelio Sangiovese Wine Rack: this is constructed from a vintage French oak wine barrel. Has 24 panels to hold your bottles. 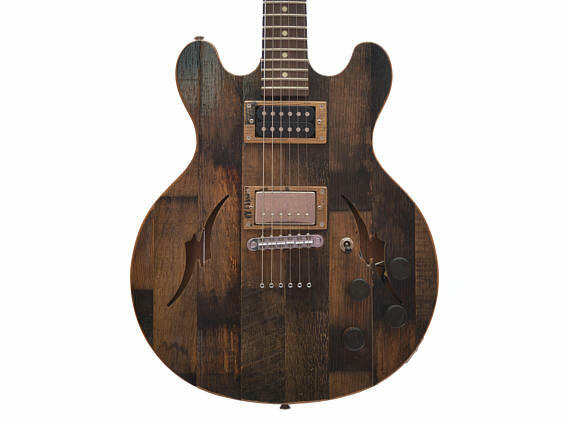 Whiskey Barrel Electric Guitar: a beautiful guitar made from “reclaimed quarter sawn American White Oak sourced from genuine whiskey barrels.” Also has pickup rings and control knobs cut from the same barrels. 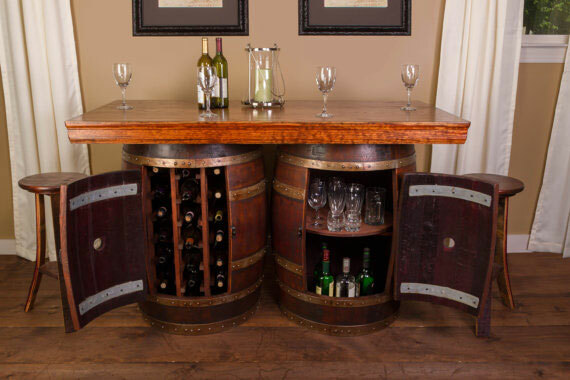 Wine Barrel Bar Island: this set comes with French Oak wine barrel bases with a 28-bottle wine rack and Lazy Susan shelf respectively. 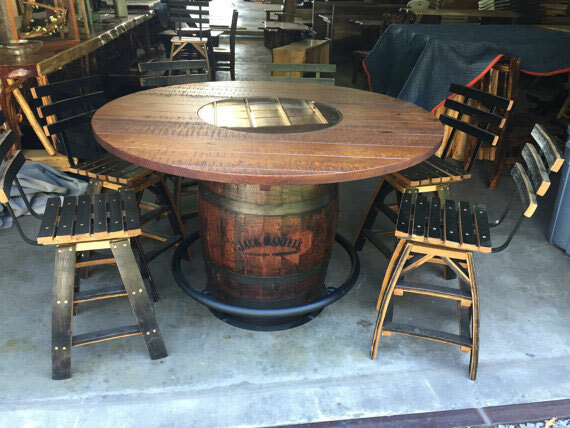 Whiskey Barrel Table: made from reclaimed Jack Daniel’s Whiskey barrel with a small glass top. 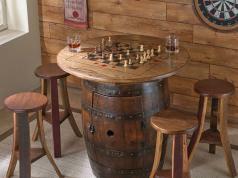 Whiskey Barrel Side Table: upgrades your room decor. 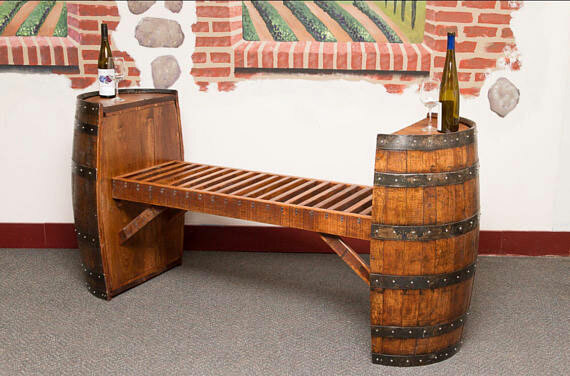 This Sonoma Valley wine barrel has metal sides, wood top, and hand-painted staves and hoops. 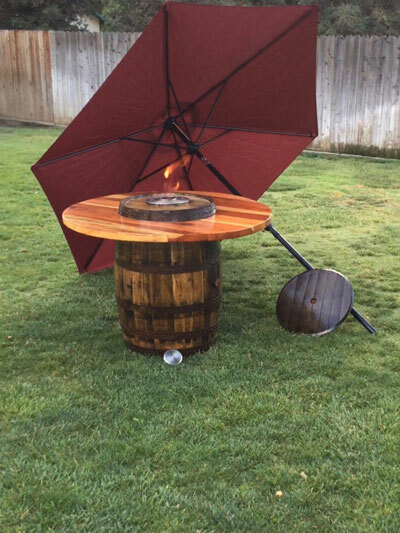 Umbrella Fire Table: has a redwood plank sealed top with a polyurethane finish. The oak barrel comes with a bio ethanol fire burner. 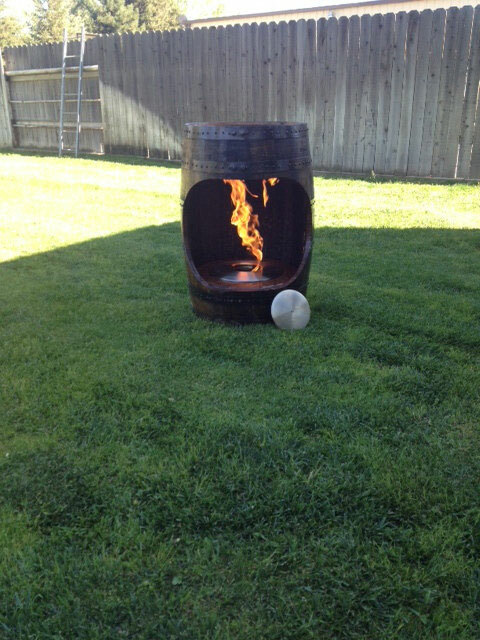 Fire Pit Barrel: this was made from an oak barrel with its top removed and a large part cut out in the front. It stands 35 inches tall and 23 inches in diameter at the top. 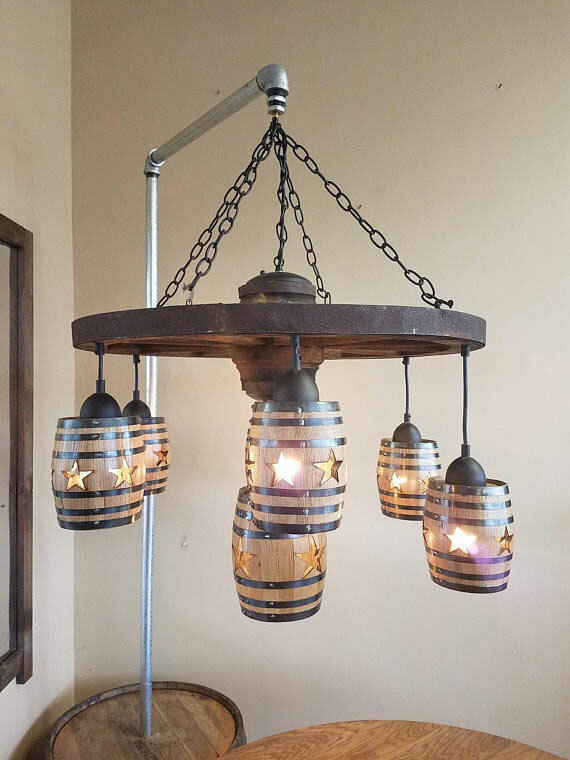 Barrel Chandelier: an elegant piece built with small oak barrels and an antique wagon wheel. 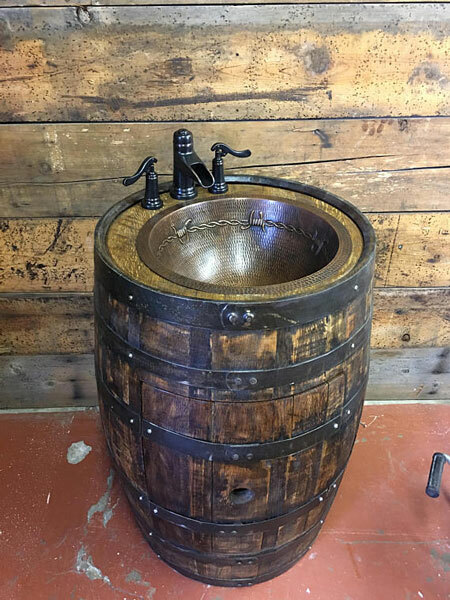 Rustic Reclaimed Whiskey Barrel Vanity: a bathroom unit made from a solid oak whiskey barrel. 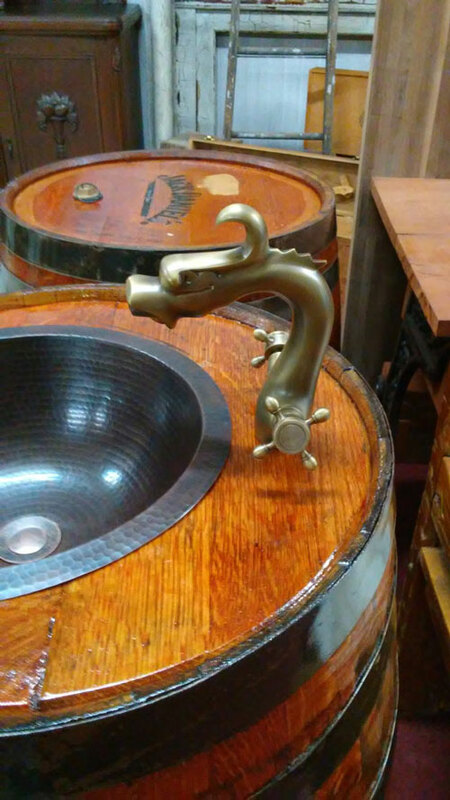 Has a copper sink and Pfister Ashfield Rustic Bronze 2-Handle Widespread WaterSense bathroom faucet. 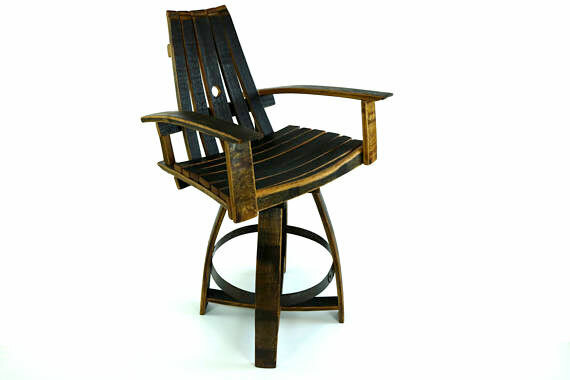 Bourbon Barrel Pub Chair: this handmade chair completes your bar. 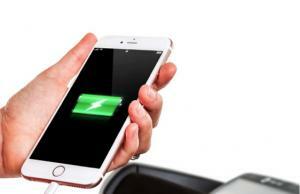 It has 180 degree memory swivel and metal ring that works as a foot rest. 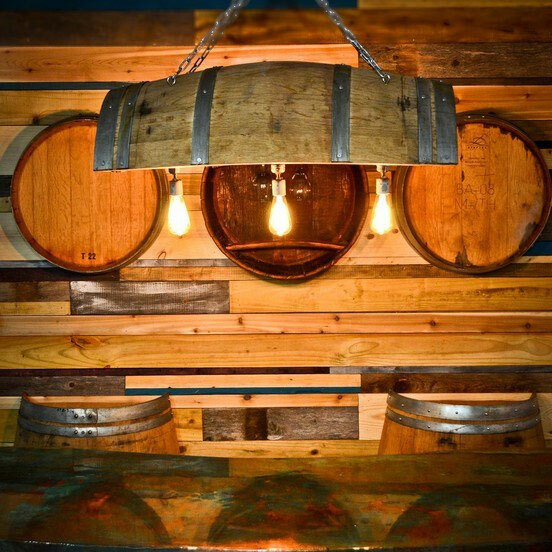 Pool Table Barrel Light: made of reclaimed wine barrel with steel pipe lighting. 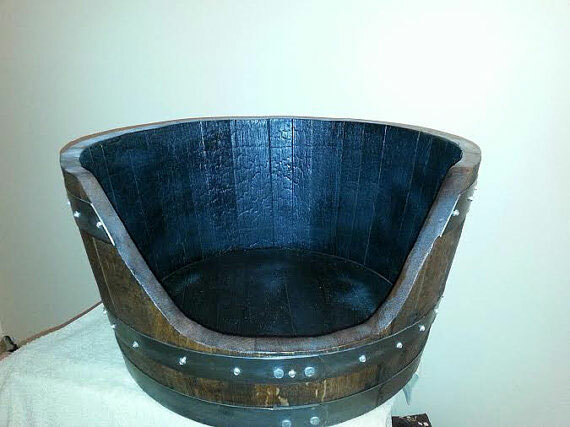 The oak wine barrel is 35″ long x 25″ wide x 11″ deep. 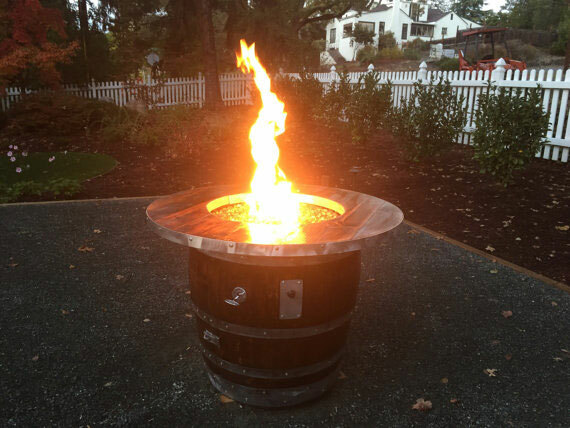 Wine Barrel Fire Pit: another fire fit made with reclaimed wine barrel. Comes with crystal snow fire glass and push start button. Whiskey Barrel Pet Bed: provides your pet with a place to sleep and relax. What do you think? Which one is worth a shot?